The weather is warming back up, and with it comes baitfish feeding frenzies found along the coast and back in the river. 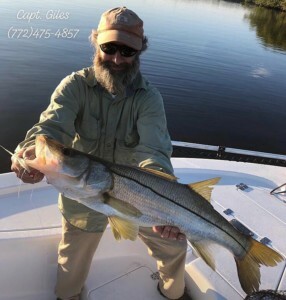 Big jack cravelle can be found chasing bait just outside the inlet and inshore near Hell’s Gate and the 10 Cent Bridge. We mostly use flies and lures with fast retrieves. Popppers are my favorite. Diving birds can always act as a “fish finder” when looking for fish. The pilchard baitfish are showing up more every day jumping in schools near the flats and causeways. We’ve also caught lots of 6 inch bunker baitfish inside manatee pocket before daylight. The greenies are at the Sandpile and Bullshark barge for sabiki. We’ve seen some tarpon early morning at the inlet rolling with an incoming tide, but there is also countless sharks competing for bait. The sharks may also be the reason lots of pompano have been showing up inshore, to get away from them. But April is always a great month to fish the flats and jig the bridges for pompano. It’s been a great year for triple tail caught along channel markers and crab trap buoys in the Indian River. 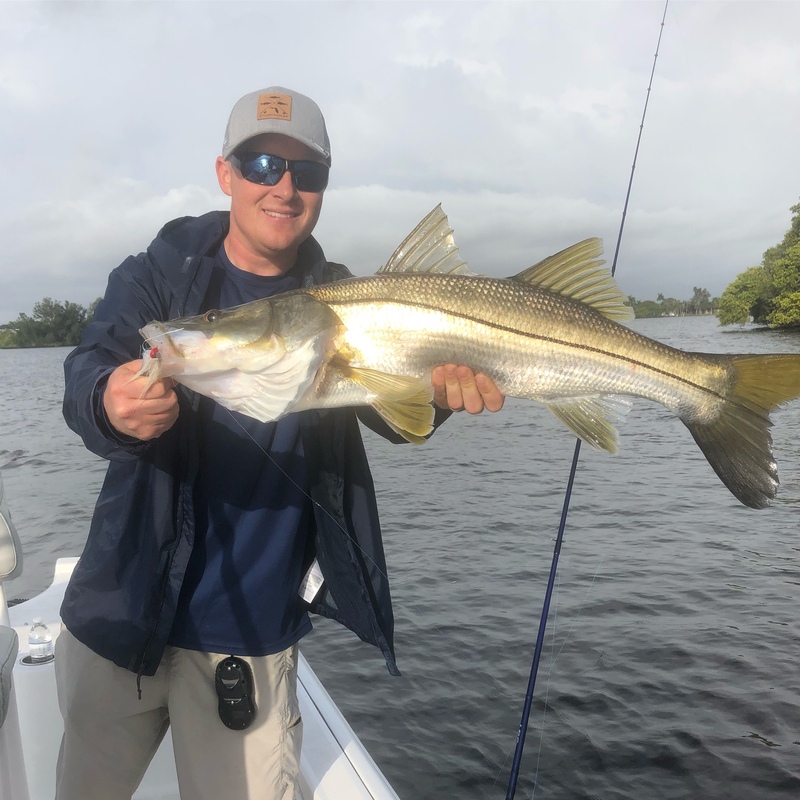 We are still catching snook back in the South Fork casting DOA Jigs and Giles Jigs along mangrove shorelines. April is a great month to try the sandpile, barge wrecks, and other near-shore spots for cobia. The big rays can be cruising the coast as well with cobia under them. We should see less windy conditions as the weather gets warmer allowing smaller vessels to get outside the inlet. 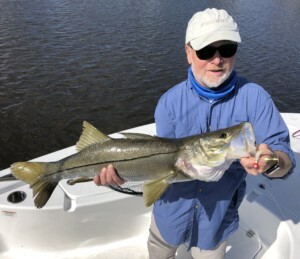 The snook should start moving towards the inlet to spawn during the summer months. They always like to use the 10 Cent bridge as a “rest stop” when migrating to or from the inlet during the Spring and Fall. There are many ways to fish that bridge, but the snook are always down on the bottom. Therefore, diving baitfish work best. 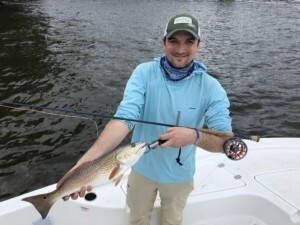 If using artificials, cast upcurrent, and retrieve down with the current to keep your lure on the bottom. Some good lures for this are DOA TerrorEyz, Storm Swim Shads, and First Light Jigs.